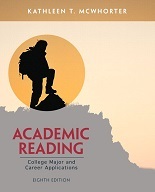 Academic Reading: College Major and Career Applications focuses on developing essential reading skills while showing students how to adapt them to specific academic disciplines and career fields. 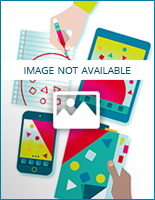 Kathleen McWhorter offers a unique, contextualized approach that focuses on academic reading skills and also motivates students towards a particular area of interest or field of study. Readers learn important comprehension, vocabulary, and critical thinking skills, as well as how to adapt these skills to study specific academic disciplines. While doing so, they also learn what each discipline involves and explore the available career paths. As an end result, Academic Reading teaches essential reading skills while opening up new academic and career possibilities. 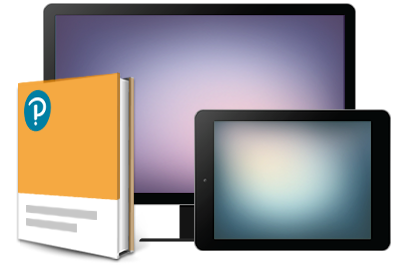 This edition of Academic Reading is supported by an enhanced MyReadingLab course, which offers text-specific exercises within the Learning Path, all of which feed into the MyReadingLab Gradebook.